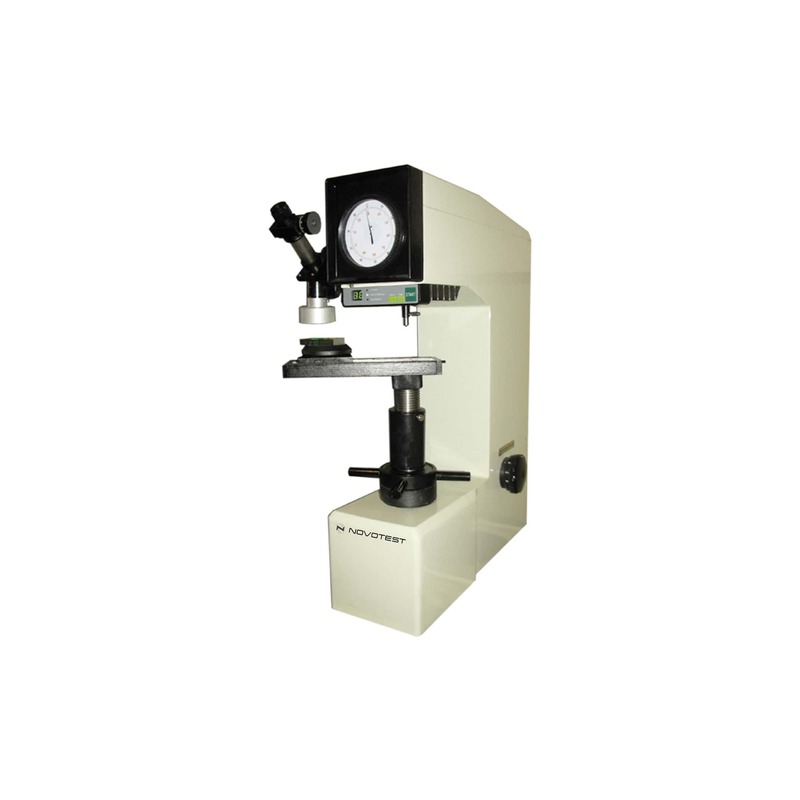 Analog Brinell, Rockwell, Vickers Hardness Tester NOVOTEST TB-BRV implements direct Brinell,.Rockwell and Vickers methods of hardness testing in accordance with ISO 6508, ASTM E10, ASTM E92, ASTM E18, ASTM E384, ASTM E103. 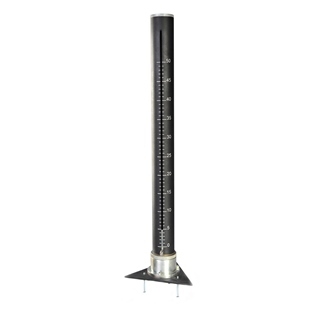 Analog Brinell, Rockwell, Vickers Hardness Tester NOVOTEST TB-BRV is designed as universal one, it can be used in industry, scientific research laboratories, plants and workshops, etc. 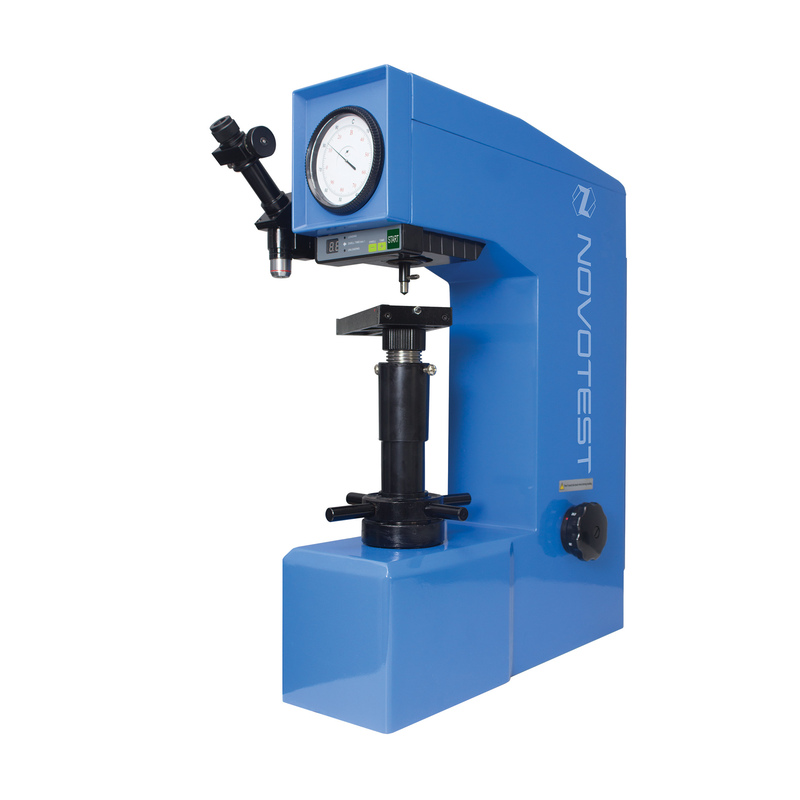 Hardness Tester NOVOTEST TB-BRV has a new design and provides high usability and high repeatability of the results and also is very easy in operation. 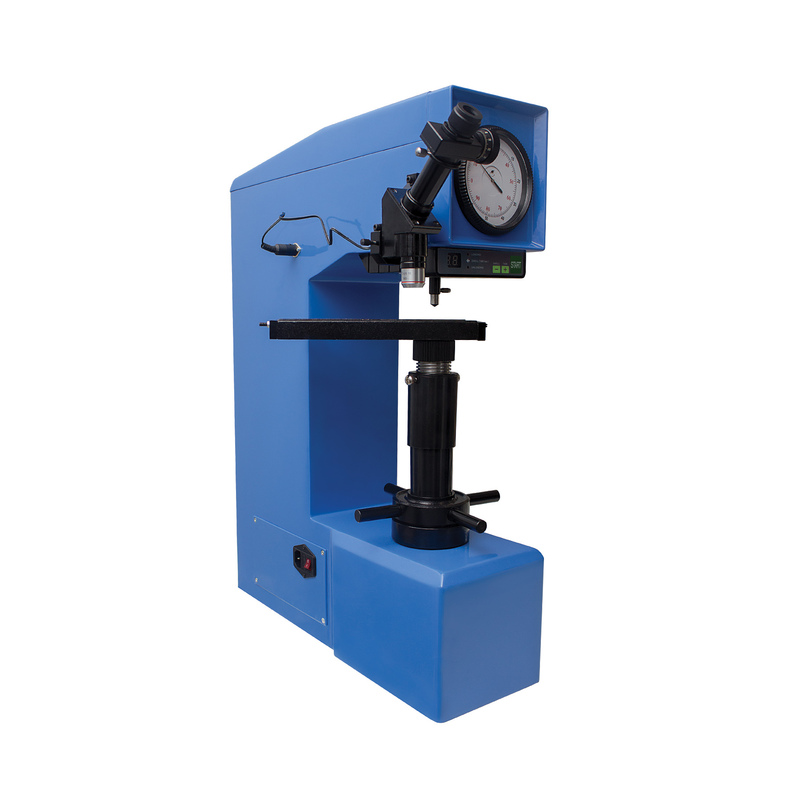 This hardness tester uses a multi-stage test load and different types of indenter to measure and determine the hardness value of tested products in different scales: Brinell, Rockwell and Vickers. The device has an electric actuator – the main test load is completely automated. Tester application with different methods allows user to solve almost all hardness measurement tasks: hardness measurement of different materials and in a wide range – from very soft up to the hardest materials. 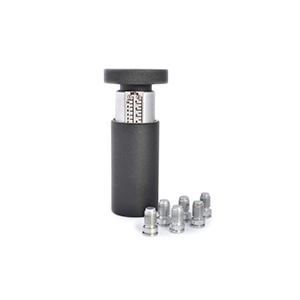 Allows user to maximize the efficiency of the using portable hardness testers. 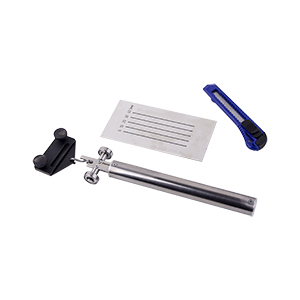 Using this device user can verificate standard hardness test blocks and calibrate portable hardness testers according to any of the most popular hardness scales.